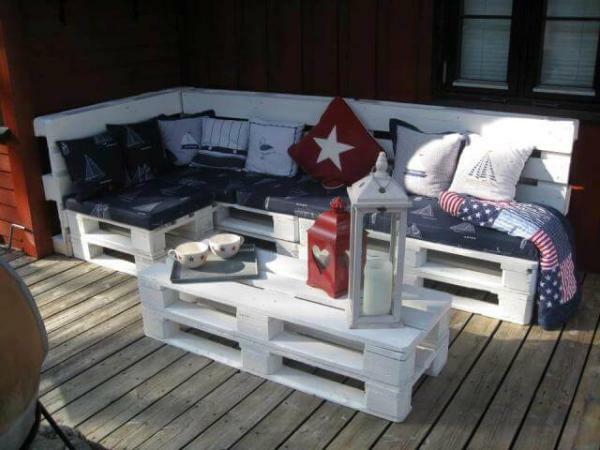 Pallet boards come after a long duty from the ships and we mostly meet them on landfill areas, dumping grounds and at junky yards! 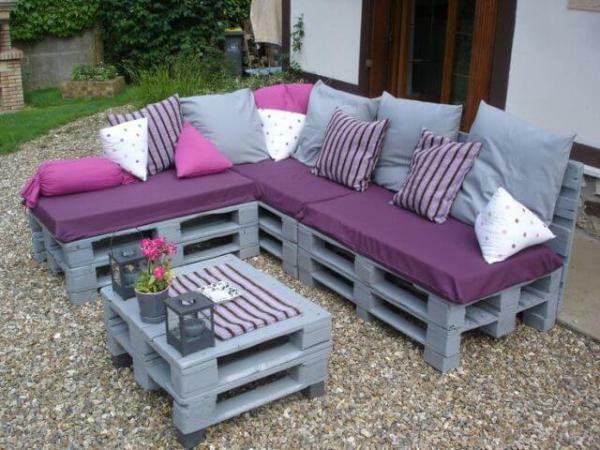 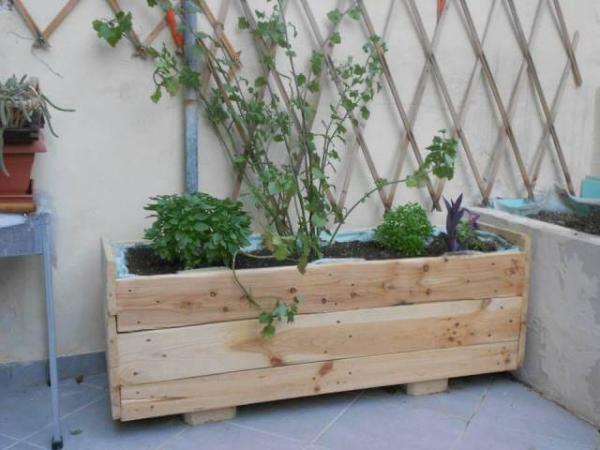 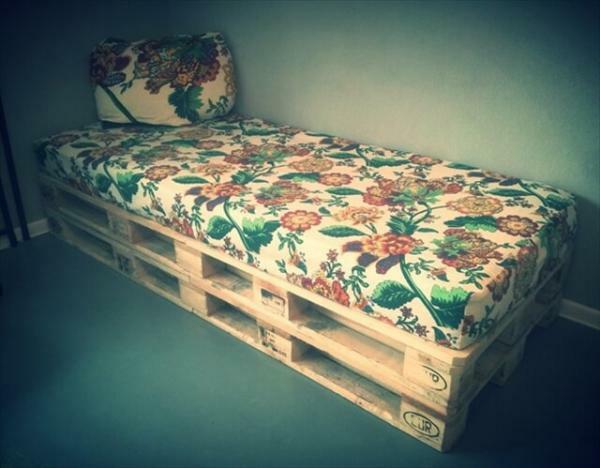 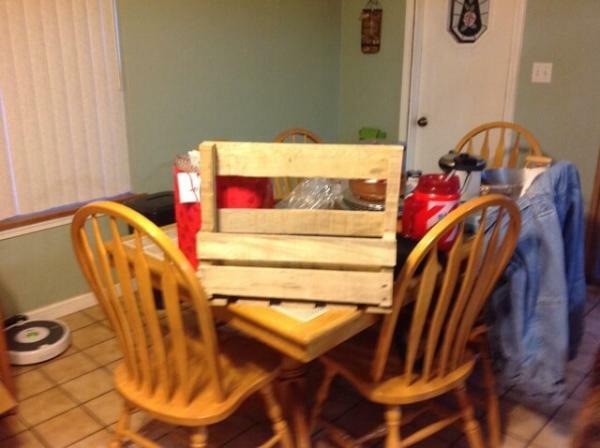 Do you really think that these are the best places for pallets! 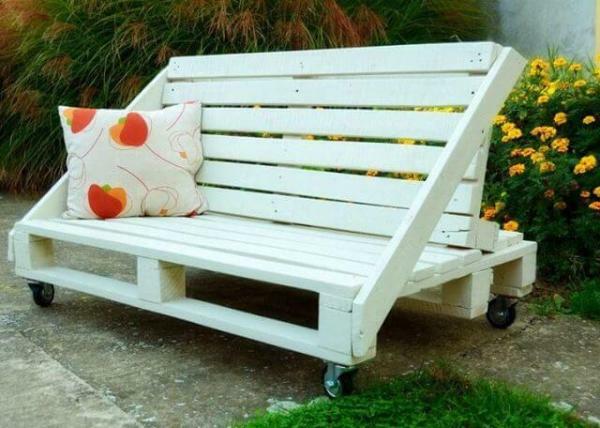 If you think so, you may be totally wrong as you can recycle them to live more with them and can also make creative furniture elements with them to have better routines in home. 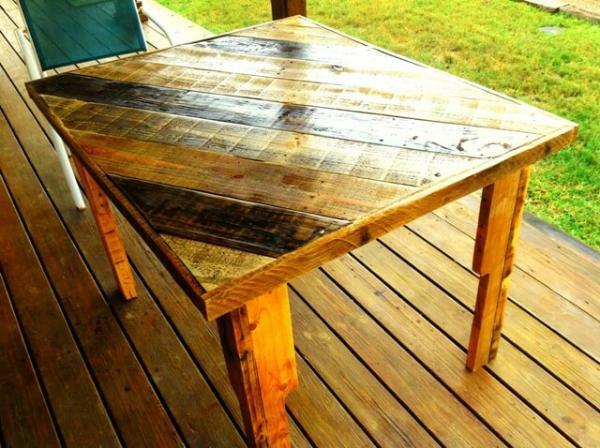 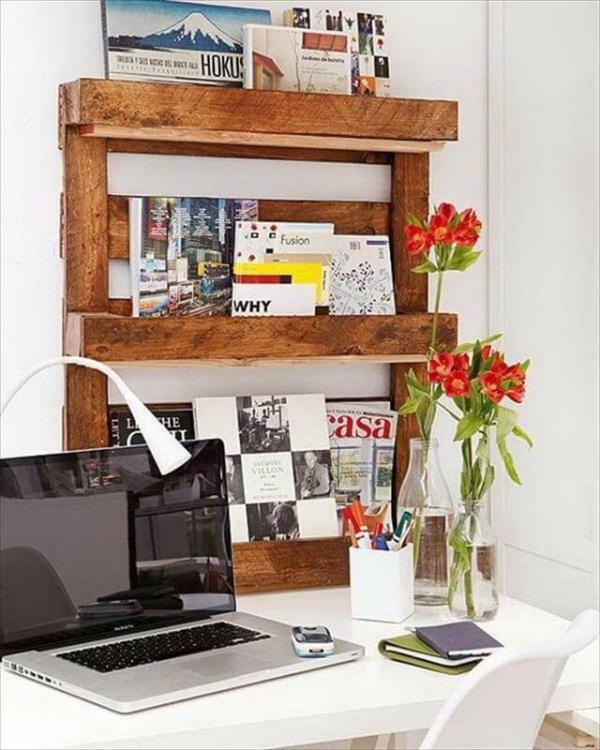 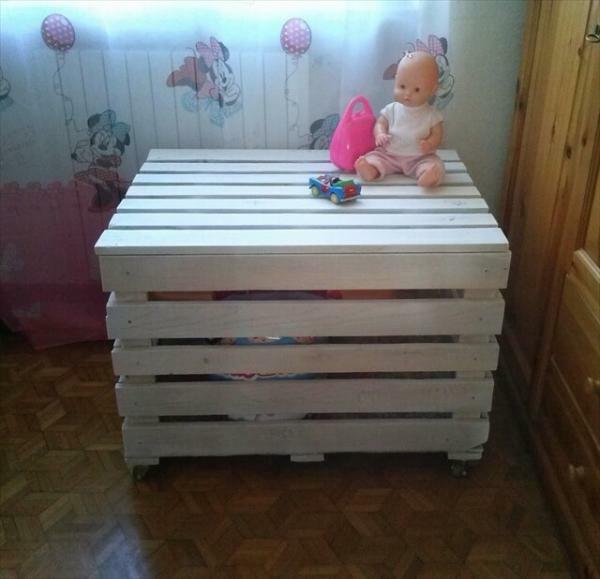 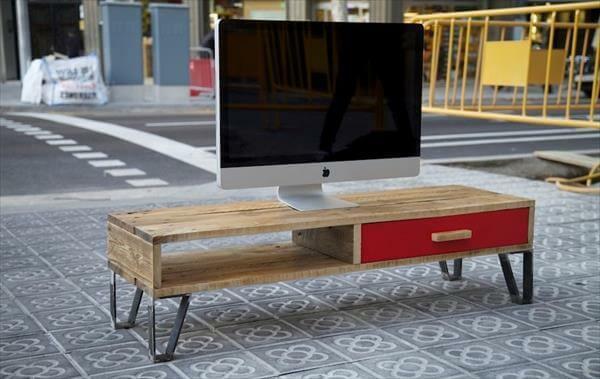 This DIY pallet TV stand with drawer will rock in your modern family or media room and has been made of pallets, would you believe it? 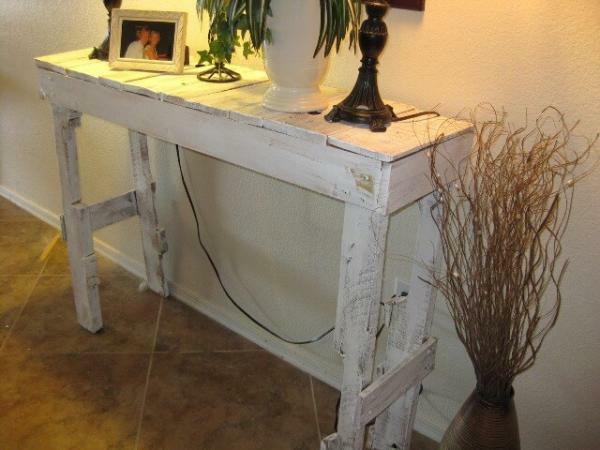 Old steel from have been reused to provide the sturdy metal legs to it that ensure its lifetime availability without any damage. 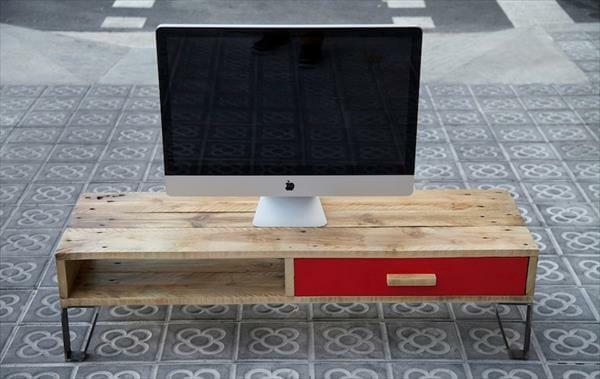 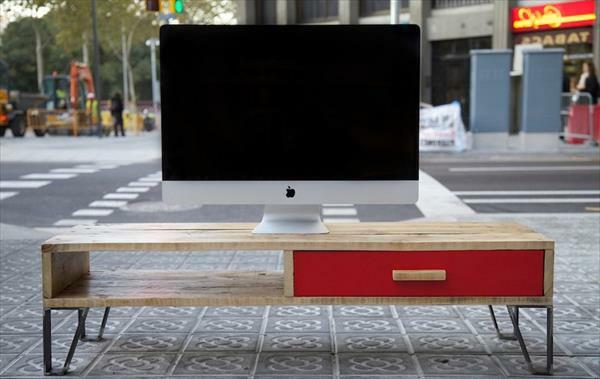 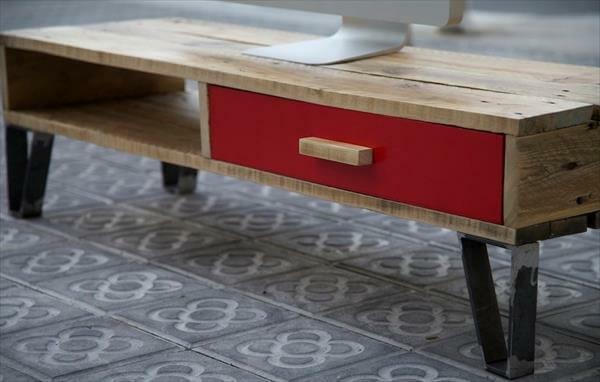 An according size has been taken from a bigger pallet board that sits brilliantly on reclaimed steel legs to give a beautiful design of a pallet media console table to be put inside of your living room or family room. 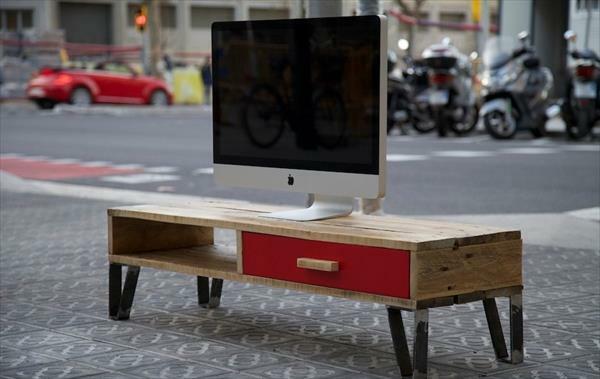 The design is super functional, not only come in handy to hold your display screen but also contains a drawer to hide your tools and inactive media items.